We weathered Sandy in one piece. Thank Goodness. I hope all of you are safe and sound. Half of our wooden fence blew away into our neighbor's yard, but other than that we're all good. Kids are back to school today and we are gearing up for the festivities this evening. This past weekend we had some halloween fun with a halloween party and the town halloween stroll! I used pinterest as inspiration to help decorate for the halloween party. I loved these mummy juice boxes. Well, they were pretty easy to make and Luke had the brilliant idea of making the mummies have scary faces! 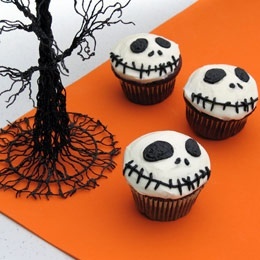 Then we wanted to try to make these skeleton cupcakes. Pinterest makes it look so easy! Well, let's just say ours didn't turn out that well. Luke kept saying, "Mommy he doesn't look scary!" Ugh! We quickly scratched that idea and instead went with vanilla frosted cupcakes with orange and black sprinkles. A little better! All in all good fun! The kids loved them and had a great time apple bobbing, pinata swinging and sticking their hands into bowls of jello and thinking it was monkey brains!! 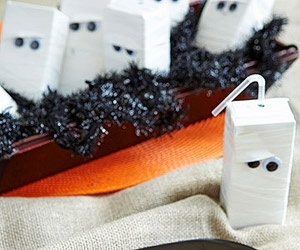 Cute mummy juice boxes! I haven't seen those. And I like the sprinkles better anyway. Have a fun night. Sheila doesn't fully understand but I think she'll still have fun. she gets the candy aspect that's for sure. 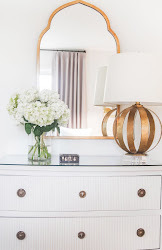 And pretty hutch too - is that built-in? Looks like it. Very nice. Adorable! And a town stroll? How fantastic is that! I hope Luke has a great time trick-or-treating this evening! Very cute and way more ambitious than anything I attempted. And thanks for keeping it real with the cupcakes - that's exactly what would've happened in my world. I bet the sprinkle version were just as delicious. Hope you guys had a Happy Halloween!